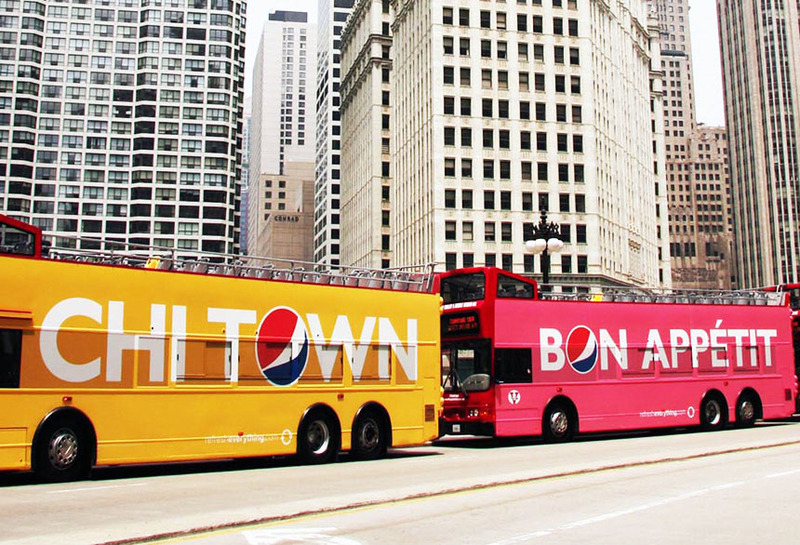 Pepsi ran a series of full side display advertisements using Lamar transit in Chicago, IL. These advertisements, were bright, large, and community specific. They used their logo to remind consumers of their brand as the busses moved through key areas in the city.